How do you feel about Obamacare on its anniversary? 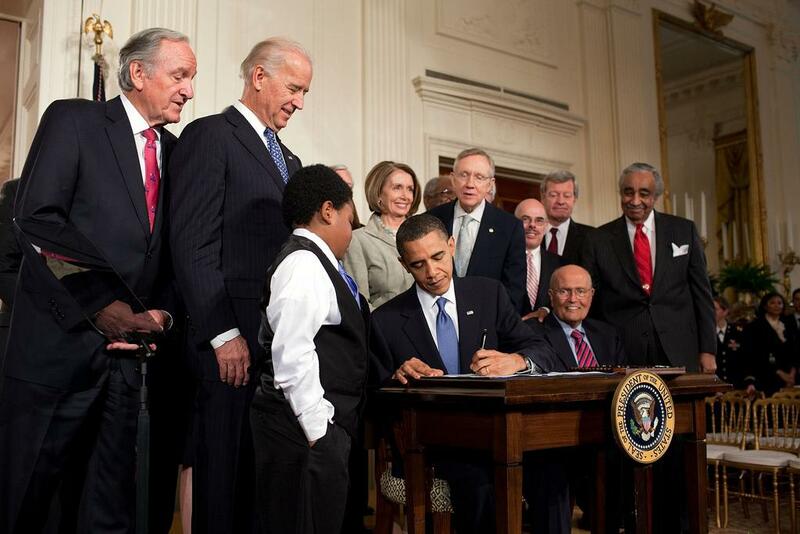 On March 23, 2010, President Barack Obama signed the Patient Protection & Affordable Care Act (commonly known as the ACA or Obamacare) into law. It aimed to expand access to healthcare by requiring Americans to have health insurance through their employer or the individual marketplaces the bill established, and by broadening what plans were required to cover. A key pillar of Obama’s 2008 presidential campaign was comprehensive healthcare reform to reduce the number of uninsured Americans. From 1987 to 2008, the percentage of Americans covered by public or private health insurance hovered around 85 percent according to data from USAFacts. But while overall coverage remained consistent, rising healthcare costs made paying for insurance and medical care more difficult. After Obama’s inauguration, Congress began crafting the legislation over the course of the summer and fall of 2009. When it became clear that Democrats, who controlled the House and had 60 senators in their caucus, lacked the votes to advance a single-payer, “Medicare for All” bill through the Senate, the approach shifted to include ideas that had received bipartisan support in the past. Among those was an individual mandate to buy health insurance ― which some Republicans had advocated for during healthcare reform debates in the 1990s. But that failed to win over GOP lawmakers, who opposed the idea as unconstitutional, which meant the bill had to be passed along party-lines. The House voted on its version of the bill on November 7, 2009, and passed it with a 220-215 vote. In the Senate, efforts to keep the support of moderates such as Sen. Joe Lieberman (I-CT) led to the removal of the “public option” ― a taxpayer-funded insurance plan that would've competed alongside private plans preferred by Obama. Those talks also spawned the so-called “cornhusker kickback”, which was a higher Medicaid reimbursement rate for Nebraska that secured the support of Sen. Ben Nelson (D-NE), and a provision that allowed states to prohibit abortion coverage within their insurance exchanges. The Senate passed its version of the bill on a 60-39 vote thanks to the support of all Democrats and the chamber’s Independents (who all caucused as Democrats) on December 24, 2009, setting up a conference committee with the House to iron out the differences between the bills. But the election of Sen. Scott Brown (R-MA) to the seat once held by the late Sen. Ted Kennedy (D) in January 2010 meant that Republicans had the 41 votes needed to block a cloture vote on the bill’s conference report, so Democrats had to shift their strategy. Instead of taking up a conference report, House Democrats decided they’d pass the Senate’s version of the healthcare reform bill to send it to President Obama’s desk and then pass a second bill under the reconciliation process ― which only requires a simple majority in the Senate. To increase the number of Americans with health insurance coverage, Obamacare established a mandate for individuals to have health insurance coverage or pay a tax penalty of $695. It also created an employer mandate that required businesses with more than 50 employees to offer full-time workers (defined as 30 hours per week) health insurance coverage or face fines. Both mandates were to take effect in 2014. Individuals whose employers didn’t provide health insurance coverage could buy health insurance plans on marketplace exchanges established by Obamacare. 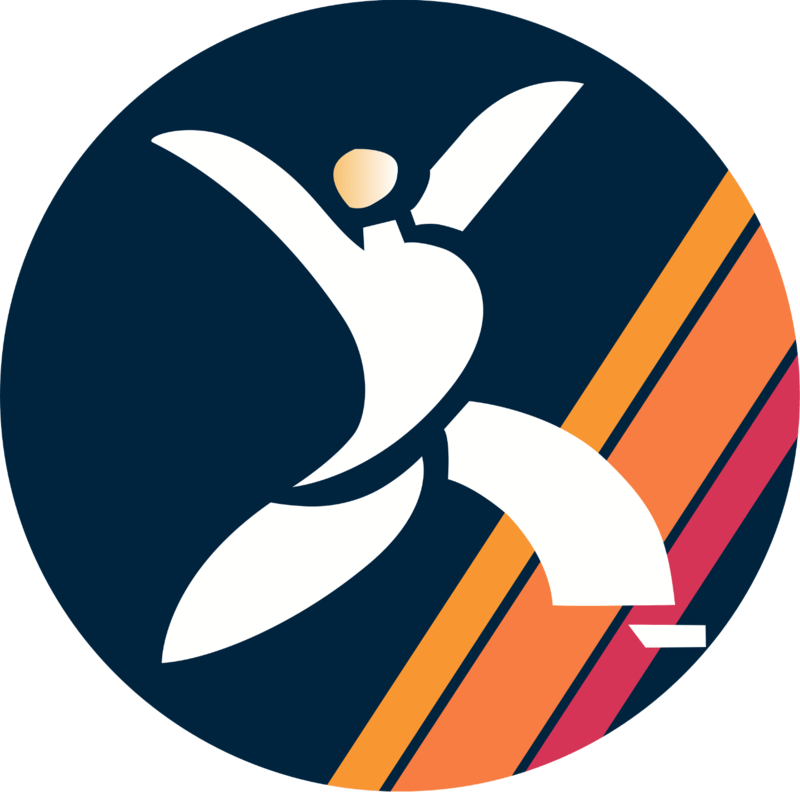 States had the option to establish exchanges of their own, and if they elected not to then the state’s residents could access the federal exchange ― Healthcare.gov ― which was to have its first open enrollment periods in 2013. Insurance plans offered on the exchange were required to cover “essential health benefits” such as ambulatory and emergency services, hospitalization, maternity and newborn care, contraception, and prescription drugs. Obamacare’s guaranteed issue requirement prohibits insurers from denying coverage due to pre-existing conditions. Additionally, the ACA required that insurance premiums be the same for all enrollees of a given age regardless of their pre-existing conditions, and premiums for the oldest enrollees between the ages of 45-64 could only be three times more than those for adults between the ages of 18-24. The bill also allowed dependents to remain on their parents’ insurance plan until their 26th birthday. To help low-income Americans obtain coverage, Obamacare provided tax credits to subsidize the cost of insurance premiums that phased out for higher earners. There were also subsidies for insurers through Obamacare’s risk corridor program. Funding for these subsidies came through higher Medicare taxes on high-income earners and a variety of other taxes, including a 10 percent excise tax on indoor tanning sessions. Several other taxes were to take effect in the years after Obamacare’s mandates, including a 2.3 percent medical device tax and a “Cadillac tax” on expensive, employer-sponsored plans. As enacted, Obamacare required states to expand their Medicaid programs to cover individuals up to 133 percent of the poverty line, with the federal government providing funds to cover the full expansion cost for three years. Federal assistance would gradually decline each year until it reached 90 percent of the expansion’s cost in 2020, at which point it’d continue at that level thereafter. States that refused to comply would lose all federal Medicaid funding. The ACA also created waivers for states to conduct experiments with an alternative health system that provides insurance at least as comprehensive and affordable as Obamacare without being subject to some of its requirements. What has happened with Obamacare since its enactment? The ACA proved to be a focal issue in the 2010 midterm elections, which saw Republicans claim the majority in the House in what President Obama termed a “shellacking”. Over the course of the 112th Congress (2011-2012) alone, the GOP House voted more than 30 times to repeal Obamacare. Upheld the constitutionality of its individual mandate as a tax ― rather than a penalty (5-4 with Chief Justice John Roberts joining the four liberal justices). Held that the individual mandate wasn’t a valid exercise of Congressional power to regulate commerce (5-4 with Chief Justice Roberts joining four conservative justices). Found that the requirement for states to expand Medicaid or lose federal Medicaid funding was unconstitutionally coercive (7-2 with Justices Breyer & Kagan joining the conservatives), but that the rest of the Medicaid expansion was constitutional without the threat of cutting off funding (5-4 with Chief Justice Roberts joining the four liberal justices) ― effectively making Medicaid expansion optional for states. The following year Obamacare’s rollout began in earnest, with Healthcare.gov going live but experiencing significant technical difficulties at its launch. Several million Americans also received notices that their health insurance was being canceled, leading to President Obama’s pledge that “if you like your healthcare plan, you can keep it” being awarded Politifact’s Lie of the Year for 2013. A battle in Congress over funding for Obamacare led the House GOP and conservative allies like Sen. Ted Cruz (R-TX) to initiate a 16-day partial government shutdown in October 2013, the second-longest in U.S. history to that point. There were more headwinds for Obamacare in 2014, as Vermont’s effort to launch a statewide, single-payer healthcare system using an ACA state waiver was abandoned due to the high tax burden that would’ve been required of small businesses. The U.S. Supreme Court’s conservatives also struck down the ACA’s mandate that health insurance cover contraceptives as an unconstitutional affront on religious organizations’ First Amendment rights in Burwell v. Hobby Lobby. The Supreme Court’s 2015 ruling in King v. Burwell saw a 6-3 majority including Roberts, Kennedy, and the court’s liberal justices uphold the use of the ACA tax credits on the federal insurance exchange. Despite legal challenges and political battles, the uninsured rate dropped throughout these years. According to data from our partners at USAFacts, the rate of health insurance coverage (private or public) has exceeded 90 percent each year since 2015. By February 2016, the Dept. of Health and Human Services (HHS) estimated that 20 million Americans gained healthcare coverage via Obamacare. Increases in health insurance premiums over the years kept Obamacare’s popularity in the red prior through 2016, an issue that contributed to the election of President Donald Trump and Republican majorities in both chambers of Congress who ran on promises to finally make good on its repeal. But for the first time in January 2017, a majority in the RealClearPolitics poll average supported Obamacare. Nonetheless, the repeal effort went ahead. The Trump administration stopped enforcing the individual mandate and took several other actions to weaken the ACA after taking office, such as cutting off advertising and outreach for open enrollment periods and eventually cutting off subsidies paid to insurance companies. The GOP House passed the American Health Care Act, which would’ve repealed and replaced Obamacare, on a party-line vote of 217-213 in May 2017. But the effort failed in the Senate in late July 2017, as three Republican senators ― Susan Collins (ME), John McCain (AZ), and Lisa Murkowski (AK) ― voted against the Senate GOP’s “skinny repeal” bill. Congress has continued to modify the law since then, albeit on a smaller scale than a repeal and replacement bill. Republicans in Congress included a repeal of Obamacare’s individual mandate in their tax overhaul known as the Tax Cuts and Jobs Act, which became law in December 2017. In 2018, bipartisan legislation that delayed Obamacare’s medical device tax (which had been delayed once during the Obama era), along with its “Cadillac tax” and a tax on health insurers was signed into law. A repeal of Obamacare’s Independent Patient Advisory Board (IPAB), which was derided as a “death panel” for having the power (which was never used) to impose mandatory Medicare cuts, in another 2018 bipartisan budget bill that President Trump signed. Obamacare may soon be making a return to the Supreme Court. In December 2018, a federal district judge in Texas held that because the tax for not complying with the individual mandate has been eliminated, the individual mandate itself is unconstitutional. Because the mandate is “essential” to and inseverable from the ACA, the judge ruled that the entire law is invalid. An appeal in the Fifth Circuit Court of Appeals is underway, and the new House Democratic majority adopted a rules package that allows it to intervene in defense of Obamacare as the appeals process plays out.